Kirsten Trued, E-RYT500 is an international yoga teacher originally from Edmonton, Canada but now based in New York City. From an early age, movement fascinated her as she was swept from dance practice to gymnastics and then cheerleading. Her interest in movement modalities eventually morphed into a LOVE for the yoga practice after moving to NYC. Yoga was more than just movement and feeling good; it was a personal path to inner strength and self-expression. At OM Factory Kirsten teaches Vinyasa Foundations, Yoga Tune Up®, and Yin Yoga; all practices which meet each student exactly where they are, allowing them to express and celebrate themselves. Kirsten is an Integrated Yoga Tune Up® teacher, Roll Model® Method trainer & co-creator of OFSY's 200-Hour Vinyasa Teacher Training Curriculum. 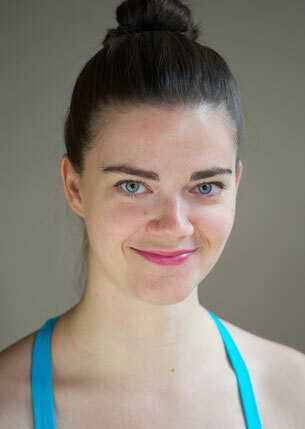 Kirsten frequently leads Yoga Tune Up® & Restorative workshops. Check back for her latest workshop schedule!